Five years ago I knew pretty much nothing about responsible tourism. If I’d been in a situation where I’d be offered the chance to ride an elephant, I would have done it. And I think lots of us are in that boat – it’s an issue which has been discussed so much more in recent years and we’ve all learnt a lot about it – thank goodness! Episode 118 of The Thoughtful Travel Podcast is focused on all aspects of ecotourism and responsible travel and I’m glad to bring you these chats to keep the whole cycle of education going. There are some very wise words from my guests here so I hope you enjoy them – and learn from them too! They might be buzz words at the moment, but ecotourism and responsible travel are nonetheless super-important and that’s why Episode 118 of The Thoughtful Travel Podcast is all about how to travel without causing any harm (and maybe even doing some good). First up, I chat with my lovely friend Meagan of Malas With A Mission, who is one of my favourite people to talk to about the issue of responsible travel. She has a great attitude to it and is able to educate people about issues like ecotourism, sustainable travel and voluntourism without sounding at all preachy, which is really good skill! Next I talk with Deborah Regen who runs a site collating eco-friendly tour operators, a great resource for researching a your responsible trips. Deborah has always loved nature and now wants to help ensure it’s there for everyone to enjoy for a long time into the future. Finally, I discuss responsible animal tourism with Christine Knight, and particularly the issue of riding elephants. 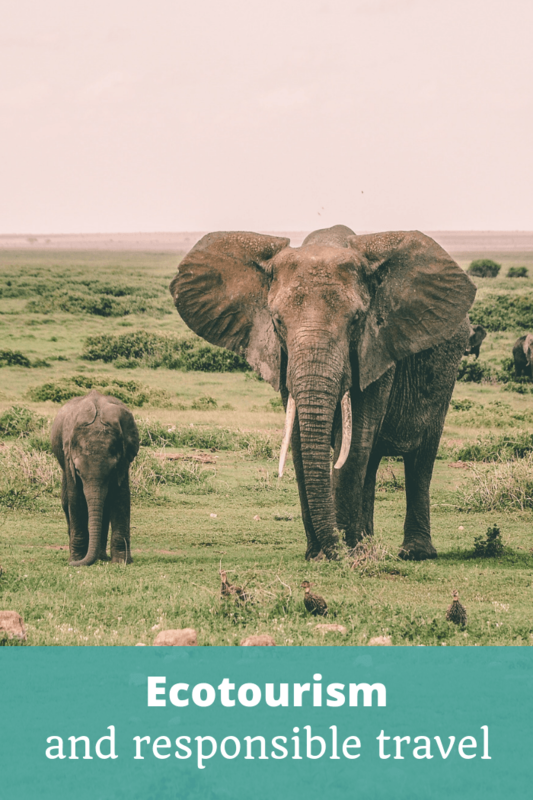 It’s one of those issues which I’m glad to see so much more widely discussed in recent years, and lots of tourists and tour operators changing the way elephants are used in tourism.